Want to build bonds and strengthen your team? Find out why you need to get out of the office! Corporate team building remains popular thanks to its effectiveness in improving company morale, team cohesiveness, and overall productivity. 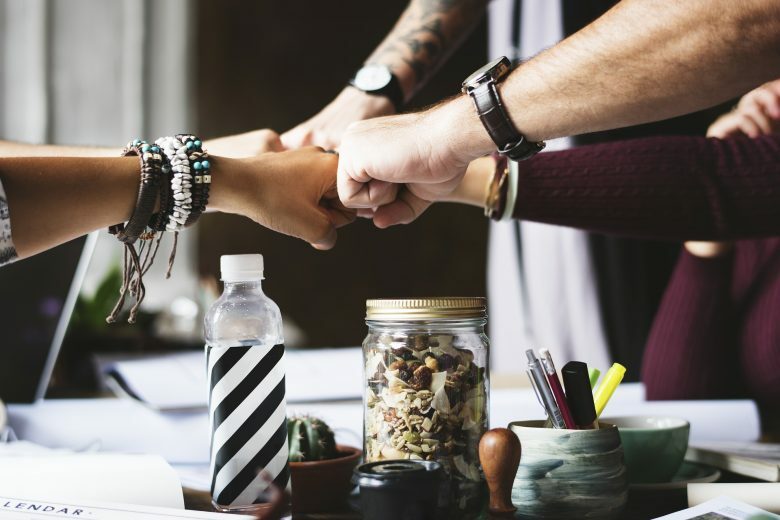 The activities can reinforce the belief that colleagues who respect one another, and share an amount of empathy amongst themselves, work better together. But, while in-house bonding activities may be better than nothing, for a truly worthwhile experience you need to move your team building off-site. Here’s why. Even with the best intentions, when team building events are held in-office, it’s hard to properly switch off from work, and feel pressure to just finish that one last task. As a result your team won’t be 100% focused on the team building exercises – and you won’t get the full benefit of them. Outdoor activities provide a change of pace from the office, and can help to re-energise work teams while also forging new relationships. Team building events like these from Team Tactics will provide you with top of the line and all-inclusive events, and provide you with plenty of team building ideas – whatever your business. Fancy a treasure hunt outing to the Brighton seaside? Or one around London? It can be arranged. Evening events include dinner and are meant to encourage employees forging deeper connections in a casual, and more laid back setting. In the warm summer months, you can add a bit of competition to the mix with a river rafting race course. Corporate sailing regatta events, or power boating down the Thames are also available as team building activities for corporate groups. When looking for something a bit less sports driven and competitive, there are art graffiti contents, circus skills lessons, and building Wendy houses for children in need. In fact, when a charity component is added to the day, team members may begin to feel a stronger sense of empathy from the start of the day. Taking a group outside of their comfort zone will almost certainly alter the dynamic between group members and concurrently force individuals to reconsider their place in a new environment. The possibilities are nearly endless. Using a specialist team building company who understand the desired goals of team building events, and provide a full-service experience for corporate teams of all sizes, will be highly beneficial to the team. And moving the events outside of the office is paramount to a successful event and also enlarges the number of possibilities available for the outing. Also, going off-site does not have to mean a day spent outdoors. There are many indoor events and activities that are active and engaging but perhaps a bit less rigorous than their outdoor counterparts. Wine tastings, cooking and cupcake making, building a bicycle for charity, and robot wars just touch the surface of the types of available activities. Getting out of the office is really the only must-do when planning a corporate team building event and there are such a vast and varied range of options available. By physically removing employees from the office, distractions are limited and interruptions are lessened. If possible, completely disconnected days, or part of days, will further increase engagement. Imagine a work event without any emails, fires to put out, or conference calls. Management that prioritises the day around the team building rather than attempting to squeeze the events into the work day will most likely see the most profound results. Smart phones do facilitate communication, but when attempting to create a non-work experience for employees, that can prove to be a large distraction. Off-site team building will allow office mates to interact in different ways and see each other in a new light. By breaking down some of the perceived distances caused by hierarchies and work groups, team building events can strengthen bonds between group members, causing both the firm and the individuals to benefit.